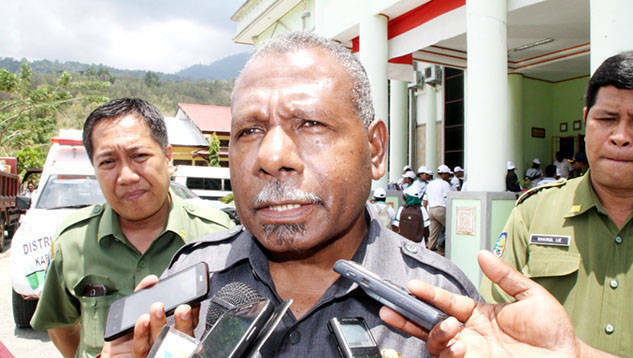 According to Mathius, tourism potential for Jayapura District is located in the villages. While the knowledge of the people to manage tourism is still low so it needs to be empowered through the village empowerment program. To start now, continued Regent Mathius, between the village empowerment program and the tourism development program in each village can run in synergy to generate income for the village and the community. "The plan to make the district as an information, service and training center if it is realized then by itself, village empowerment and tourism development can be managed here, either manage information but also train village people to manage tourism assets in villages with good management," he explained. He explained, in Jayapura there are many places or locations that have high exotic value for tourism development but not optimized because of low knowledge of the citizens. Therefore, through the synergy of programs between village empowerment and tourism development can provide knowledge for citizens to manage. It is said that in the village empowerment program every kampong should programming about the development of tourism potential that begins with knowledge sharing through education and training at the district level so that the management of tourism potential can be managed professionally. "We have sent how many children have a special education in Germany. We hope that the return of these children with a myriad of knowledge about tourism can help the government and the public to promote tourism in this region, "he concluded. Mentioned, there are some villages have implemented synergy program between the empowerment of the village and the development of tourism. Hopefully, these villages will become the pilot project for the synergy of empowerment and tourism program. "We the government will certainly fully support the synergy of the program of empowerment and tourism to bring our people and our region," said Regent Mathius.